The Nagaland Tourism Department has announced that the department is looking to bring out a new Tourism Policy 2018. The department has already uploaded the Draft Tourism Policy 2018 on www.nagalandtourism.com and tourismnagaland.com with an aim to involve public stakeholders’ consultation in the process. Under the State Industrial Policy of Nagaland 2000, tourism has been accorded ‘Priority Sector’. The infrastructural development of tourism will be commensurate with the tourist destinations. Thrust areas will be identified in context of the indigenous development and tourist’s expectation in the area of ethnic/rural tourism, cultural tourism, adventure tourism and eco-tourism. Infrastructure like roads, railways and airports will be developed well with the intent to provide access to existing and new tourist destinations. It will be the state policy to provide transport services, information counters, telephone and internet facilities etc. which will contribute in generating a tourist friendly atmosphere. 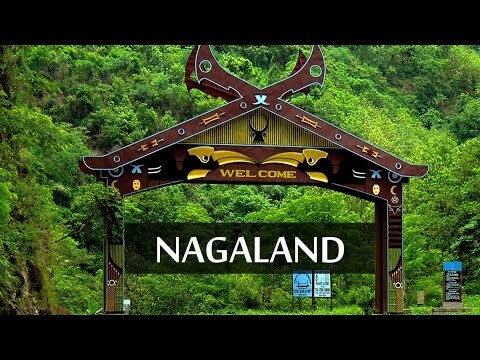 Tour Operators/ Travel Agents will get special permits to those registered with the Nagaland Department of Tourism, and will be granted assistance by the government. A ‘Barrier Free Design’ approach will be adopted for making tourism friendly for differently-abled people. Tourist places will be “fully equipped” with amenities like wheel chairs, walking sticks, umbrellas and first aid. The Nagaland Government will have a list of approved/ registered hotels/lodges under the State Tourist Trade Act, which would be expected to function within the laid down norms / guidelines of the Government. Home stays or Special Paying Guest scheme will also be introduced in some selected places/villages for providing affordable and hygienic accommodation for both domestic and foreign tourists. Eco-tourism projects will need to be coordinated with the Forest Department. Agro-tourism will also be promoted. Adventure/Sports Tourism will be introduced in the form of mountaineering, trekking, zip lining, gliding, and mountain biking, cycling, rafting, angling and rock climbing. Heritage Tourism will be introduced in sites like War Cemetery, Kohima Village, Medieval Kachari Kingdom Ruins, Dimapur, Khonoma Village, historical site at Naganimora, Mon district etc.